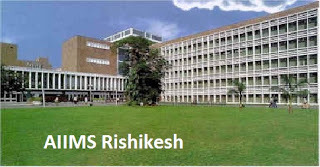 AIIMS Rishikesh Jobs Recruitment Notification 2019.All India Institute of Medical Sciences (AIIMS Rishikesh) inviting applications for the positions of Group A, B & C.Interested and Eligible candidates can apply for the positions. Last Date for Submission of Application is on March 18th, 2019. Total Posts: – 33 posts.